Samsung will unveil its all-new Galaxy S10 range on February 20, 2019 at simultaneous Galaxy Unpacked events in San Francisco and London. Thanks to the prominent "10" emblazoned on the invitation, it seems pretty clear we'll see the Samsung Galaxy S10 , Galaxy S10 Plus, and new affordable Galaxy S10 Lite revealed during the keynote presentation next month. However, the latest whispers suggest we could also see the foldable Galaxy X, a pair of sensor-packed Smart Shoes, as well as a 5G-enabled Galaxy S10 announced, too. The latter has been subject to a new leak from ETNews, which has published a boatload of new details on the aforementioned 5G-compatible Galaxy S10 handset. According to sources speaking to the publication, the so-called ultra-flagship model will be branded Galaxy S10 X. The addition of the "X" to the Galaxy S10 name is not only to signal the fact that the Galaxy S10 represents the tenth anniversary of the best-selling Galaxy S smartphone series, but also purportedly feeds into the marketing planned for the handset, which will centre around the buzzwords "eXperience" and "eXpansion". Those who have been closely following the whispers from the supply chain in the run-up to the Galaxy S10 launch event will know that this name seems somewhat problematic. After all, Galaxy X has been heavily rumoured to be the name of the long-awaited foldable flagship phone due to be unveiled during the same keynote as the Galaxy S10 series. Samsung oh-so briefly unveiled the pliable phone during its annual developer conference in San Francisco in November, but neglected to confirm the name of the handset. ETNews has not only revealed the branding of the upcoming Galaxy S10 X, but it has some new details around the specs squeezed inside the ultra-flagship. And it sounds like a beast of a smartphone. According to the Korean publication, the 5G-enabled Galaxy S10 will include the same in-screen ultrasonic fingerprint scanner scheduled for the regular 4G-touting Galaxy S10 and Galaxy S10 Plus, as well as a whopping 1TB of built-in storage, a ginormous 5,000mAh battery, and 10GB of RAM or more. Wow. In addition to serious overkill specs inside the handset, ETNews claims the flagship will boast six cameras (a dual-selfie camera on the front, and a quadruple set-up like the Galaxy A9 on the back), 3D depth-sensing for improved images, and a humongous 6.7-inch Super AMOLED Infinity-O style display. Finally, the 5G-charged Galaxy S10 X will also include exclusive new software capabilities, ETNews reports. The next-generation handset will purportedly use AI to attempt to automate some of its users most common software features. This sounds similar to what Google has introduced in its Android 9.0 Pie. However, Samsung is tipped to be pushing the features further using its Bixby talkative assistant. So, what will the 5G Samsung Galaxy S10 X cost? Spoiler Alert – it's not cheap. According to ETNews' sources, prices for the entry-level (non 5G) Galaxy S10 Lite will sit somewhere between 800,000 won (£555, $712 converted) and 900,000 won (£625, $801 converted). Meanwhile, sources claim the maxed-out Galaxy S10 could reach as high as 1.8 million won, which converts to around £1,250 or $1,603. However, it's unclear whether this is a reference to the Galaxy S10 Plus, or the 5G-enabled Galaxy S10 X. 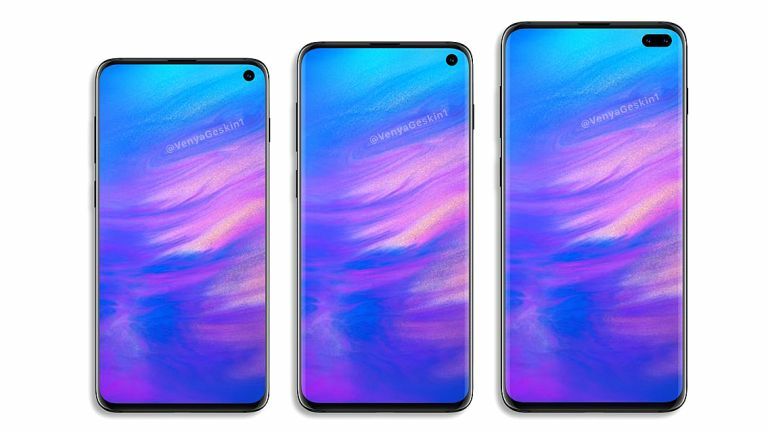 According to an earlier Samsung Galaxy S10 UK price leak, the top-end smartphone model will reach an eye-watering £1,399 ($1,791 converted). Given that the Galaxy Note 9 costs £1,099 ($1,149.99) for the maxed-out model with 512GB of built-in storage, these leaked prices really don't seem that unrealistic. Quadruple camera, ultrasonic fingerprint scanner, and ultrasonic fingerprint reader – what's not to like? Motorola VP confirms the company "started to work on foldables a long time ago"